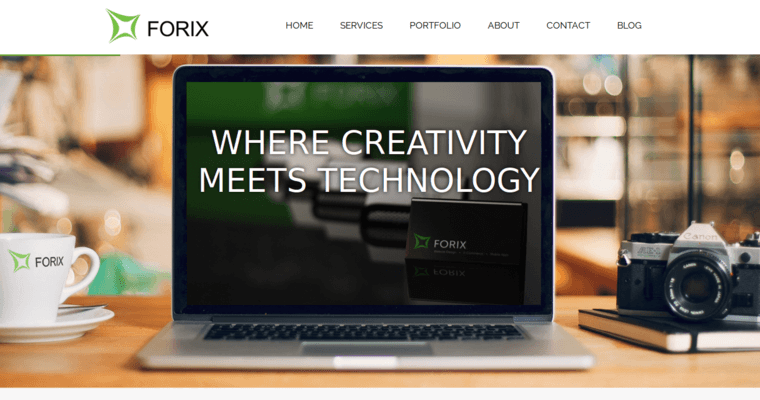 Forix Web Design is a powerful, productive, progressive company that works with innovation and excellence. The company is completely committed to ensuring 100% client satisfaction, and they accomplish this objective by making communication the most integral component of their methodology. 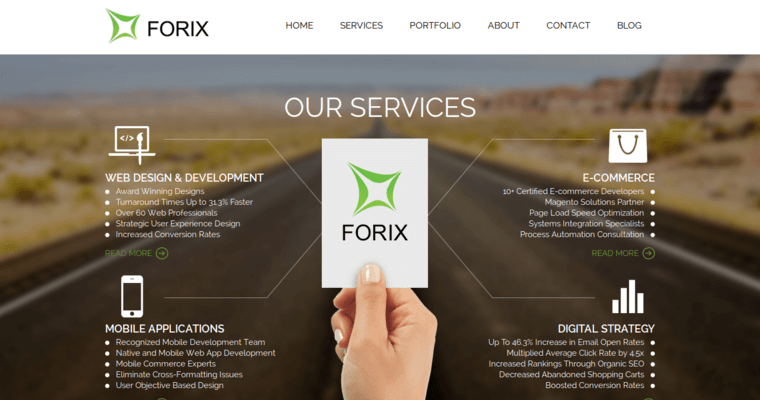 In addition to continually communicating with the client about the brand identity and company goals, Forix Web Design's experts place primacy on keeping the client in constant dialogue with prospective customers. This objective is realized through the synergistic implementation of several strategies, one of which includes the incorporation of effective responsive web design techniques. The company will also utilize social media sites (such as Twitter, Facebook, and Pinterest) to communicate with prospective customers in a manner that facilitates brand familiarity and leaves the competitors wondering where all of their business went. 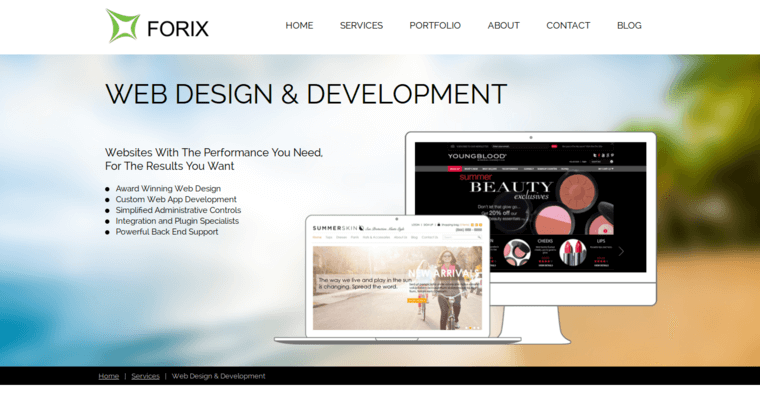 If you're serious about optimizing your online presence to generate the substantive conversion rates that you want, trust the professionals of Forix Web Design.